The Black Dog Centenary Scotch, now known as Black Reserve Centenary, is a rich and rare premium blended Scotch whisky loaded with exceptional characters. It is blended to perfection with a multitude of malt spirits chosen from the various regions of Scotland. An eight-year-old Scotch, blended from 32 different aged single malt and grain whiskies, it promises to be a sensual delight. The colour is pure amber with golden highlights. It beckons, promising sunshine on a rainy day, and otherwise. The aroma is woody to begin with. The toasted malt falls in line with the mild honey sweetness rounding off the first impressions. Delicate delicate butterscotch bordering on cream makes an appearance and how. The floral tribute at the end encompasses the entire sensation, taking it to the next level. At first sip, what you sense is the robust body that is pronounced by the rich malt. The oak and sherry add their years of sweetness. The warm texture spreads like silent sea waves. And with every ebb and flow, you experience a sunburst of flavours, intense yet the lingering sorts. And with that, you finish with a sensation that is balanced, long, intense and bright. A perfect score on a one to ten. Crafted for the man who knows that while he can linger with his favourite drink, the world can wait. 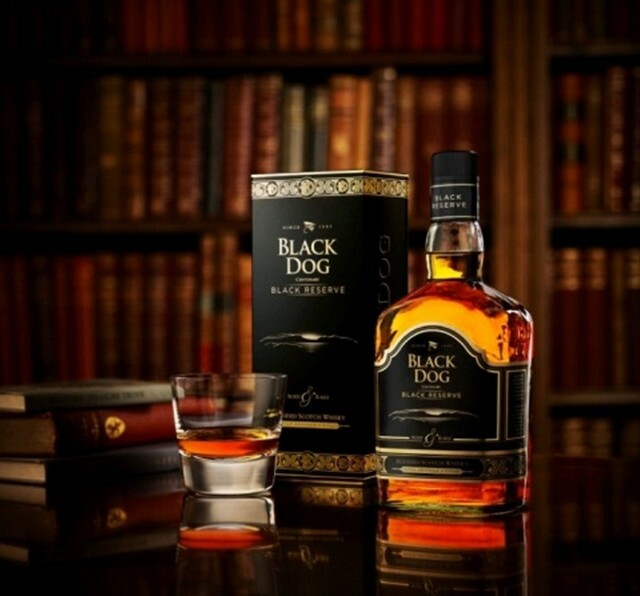 Designed to please, pleasure and pamper the senses, Black Dog Black Reserve Centenary is a choice of the select few. Those few who prefer the finer things in life. Are you one of them?